Originally from Rhode Island, I have lived in Pinellas County for 32+ years. Prior to my Real Estate career I was in the Medical field as a Radiologic Technologist for 20+ yrs, specializing in mammography. I then obtained my Nursing degree (R.N.) in 1996. I entered real estate in 2002 and love working and helping people! My passion is education and I pride myself in being the best I can for my clients. I obtained my ABR (Accredited Buyers Representative) designation as my first designation to fully understand how to assist Buyers. Shortly after I obtained my e-PRO designation, which is an advanced designation relating to internet marketing. In 2006 I proudly received my C.R.S. (Council of Residential Specialists) which is a Top Producing award. 3% of Realtors in the Country obtain this designation! The designation is earned through Education and Production in Real Estate. I received my MRP "Military Relocation Professional" designation in order to help our military with their home buying goals. I received the 2014 Beacon Award through the WCR that I belong to as (the top 3) Top Producer single agents in Pinellas County, and continue to earn this award. In addition I have earned my CIPS (Certified International Property Specialist) designation along with several Leadership awards. My passion was and still continues to be Learning. I help my clients by guiding them to get the "Best Price, Most Protection and Least Amount of Stress" in their Real Estate decisions. Darlene is active with the local Pinellas Realtor Organization. Darlene has contributed to several professional magazines including Florida Realtors and Certified Residential Specialist. Darlene continues to be a Top Producing agent selling on average 1 home per week. When a client works with Darlene they get her full attention! I confirm that I worked with Darlene Sheets P.A. in the buying or selling of this property. - The absolute BEST. There is no one better. - Wonderful! She got my house on the market and sold super quick. She also worked around my busy schedule and 4 animals. I could not of asked for a better realtor. - Darlene is a true professional. She was responsive, happy to show homes, and gave me time to make decisions. She has the experience and resources to support you throughout the home purchase process. Thank you, Darlene! - Darlene has the patience of a saint. We were very particular in what we were looking for. She helped us over two years till we found just the right place. - Darlene was the perfect realtor for me. She was recommended by a personal friend. I usually am extremely diligent in finding the right professional for my needs. When I met her, I was very impressed with her knowledge of the condo I was selling. She had brought some comps and recent sales in the neighborhood. We listed the home after a few recommended touch-ups, and had an offer withing seven days! I was floored! Needless to say, I will and would recommend her to anyone who is searching for the right realtor. - We did our Research, & selected Darlene. Upon meeting with her, we were immediately impressed and decided to look no further. She brought in, a stager, a carpet guy, and a professional photographer. We went North (Wedding & family visits) for 3 weeks. Darlene sold our house in 11 days, then handled inspections & all required repairs by license contractors, (including removal of 80 gal oil drum in the attic).We Esigned all but our closing paperwork, while we were traveling. She went above & beyond what was expected. She was told how much we would like to walk away with ($$), and she got us that and more. I could not imagine finding a more professional Realtor than Darlene Sheets. - Darlene is very knowledgeable and hard working. She was always available and prompt on answering questions and responding to calls, text and emails. She met the challenges of selling my home with a very professional and positive additude. 5 star service! - Darlene, has done the impossible! Not only we were able to find the Perfect Home. But also this home was very special to us. My wife and I met each other 30 years ago at this home so it carries a very personal attachment. The impossible part was that this could have not been accomplished without Darlenes Help! as the whole purchasing process took place 2000 miles away. Darlene has gone beyond all expectations in making this dream for us true! Thank you, Darlene! - Darlene was an excellent realtor! She was very kind and did not try to push us into something we didn't want even though we didn't have a lot of time to find a house. She helped us find a house on short notice and was very responsive to phone calls, emails and most importantly, our needs. The purchase went very smooth and we were able to close in just over 30 days. - Darlene was a fantastic Real Estate agent. This is the first house we've ever bought and now sold. Darlene was very professional and knowledgeable with everything regarding the sale of our house. From start to finish she was very responsive when we emailed and she explained everything along the way. I've never sold a house before but I couldn't imagine it going any better than ours did. She assisted us with getting some things done to the house, and assisted us with closing remotely as we had already left the country. If we end up buying again in the area we would love to have Darlene be our agent once again. I would highly recommend Darlene to anyone looking to buy or sell their home. - Darlene was extremely helpful and gave me accurate market values on my home. My home closed quickly and she was always there for support and to answer any of my questions. I highly recommend her as a top notch professional Realtor. - I can not say enough about the experience I had with Darlene Sheets. Darlene is one of the most professional people that I have had the pleasure to work with. Her commitment and honesty along with her pleasant demeanor make purchasing a home completely headache free. I highly recommend her as your Realtor for purchasing Or selling your property. I am a client for LIFE. - Darlene is a true professional in every sense of the word. She's helpful, knowledgeable and has always been available If I have any questions or needs. Darlene will stay in contact with a customer well after the sale. Anyone who needs a Realtor would do himself or herself a favor by hiring Darlene as their Real Estate Agent. You will be extremely happy with the hard work she does for you. - Darlene went above and beyond for my family. She was always available to answer questions and advise us. She is responsive, loyal and very knowledgeable about the market. She not only sold our house within two weeks of listing it, but also assisted us in the purchase of our new home. We highly recommend her and would only use her in the future. Thanks for everything Darlene. - Darlene is ON THE BALL. Attentive. Organized. Professional. My real estate transaction was simply flawless. I actually purchased this property from out of state and she was able to walk me through the entire process. Now that I am local to her, I refer mutual clients to her and will continue to do so in the future. Thank you, Darlene for helping me with my home. I'm looking forward to doing it all over again in a few years. - Darlene was a great help in showing me properties in my designated search area. Her insight was a valuable tool in helping me make my selection. She was always prompt in answering my questions and I valued her input in my decision making process. Darlene actually listened to the type of property that fit my needs and there was no pressure from her to choose anything else. She was great! - Excellent experience. I recommend to anyone looking looking to buy/sell and will not hesitate to use again myself in the future. - I live in Boston, Massachusetts and with Darlene's help,I found a property on line, came into town and bought it. She worked very hard to make the process flow smoothly for me. Darlene cares about her clients for the short and long term. 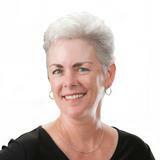 She is a top-notch realtor~attentive, accessible and cares about all details small and big. She is an excellent resource for any type of house related project one might need. Darlene's calm and professional demeanor and superb follow through make her a pleasure to work with. - We chose Darlene because of her Certified Residential Specialist (CRS) certification. Being new to the area and not having a referral available, we thought this would be a good way to select our realtor - and we definitely made the right decision! n nDarlene took the time to fully understand our needs in a new home. As we were unfamiliar with the area and living 300 miles away, she would preview houses for us so we could maximize our time when we looked at potential homes. Her professionalism is unmatched. We've been in our home now for about six months and she's been available to help me with tax documents and even questions about the local area. n nWe highly recommend Darlene for any St. Petersburg/Tampa real estate needs! - Darlene is knowledgeable, professional and attentive. We had complete confidence in her abilities and we are so happy in our new home! - Darlene is top-notch! I have worked with Darlene for over 10 years in many real estate transactions for myself and sending her referrals. She is knowledge, very responsive and gets it done! Darlene is truly the best in the industry! - I had a short sale in 2011. Darlene helped me through the process in a professiona matter. - From start to finish, Darlene stayed on our challenging sale of our elderly parent's condo in Seminole. It was quite dated, had many hurdles along the way and needed a very select and educated realtor to help the family transition parents and the property to a qualified buyer. Success! She did it! Thanks SO much for the support and ability to negotiate this sale. - You always feel like Darlene has everything under control and knows what she is doing. - Darlene was absolutely amazing to work with. She was responsive, and she also was great in the negotiation. I would recommend her to anyone. - Darlene is an excellent realtor! After searching and debating over many houses, Darlene was extremely patient and easy to work with. Showing us houses at the last minute and making sure all our questions were answered, Darlene goes above and beyond to make sure you find the house that is right for you. Her knowledge and expertise are invaluable when shopping and finally purchasing a house. I highly recommend Darlene and if we ever purchase or sell this house, Darlene is the realtor we will call! - I had moved from Largo to Greenville, SC. in 2007 to obtain assistance to provide care for my Mother in our home. I had rented the house identified above and was paying $500.00 a month in addition to the rent from the house. After 3 years of this plan I needed to sell the house and contacted Darlene. For the next couple of years she worked very closely as a friend and support to keep me balanced and reassured through that process. She helped me prevent Foreclosure and probable Bankruptcy. I will always be indebted to her for that support and help. She was always available by phone or e-mail and returned phone calls promptly and always within the same day. - It was amazing working with Darlene! I was moving from New England and was not familiar with the area at all. Darlene patiently showed me many properties and made some suggestions on where she thought would be best suited for me...where I would be happy! She was always professional, on time and has great follow up skills. I would highly recommend working with Darlene! - Excellent person to deal with and I will highly recommend Darlene to anyone. - Darlene helped us find our dream Florida Retirement beach house from out of state. She went above and beyond in ALL of her efforts. It felt like we had a real partner in achieving our goal not just a business transaction. Her knowledge, patience and willingness to be solution oriented was outstanding! - Could not of asked for a more professional, friendly and knowledgeable person. Will recommend her to everyone that asks. - This is the second time we have purchased real estate thru Darlene Sheets and continue to count on her to find us more properties. There can be no better testimony than from repeat clients like us. She is very knowledgeable, professional, patient, easily accessible, prompt, helpful, very accommodating and understanding, all wrapped up in a very upbeat lovely personality. We feel fortunate to have found her, and have referred her to several of our friends. - After Darlene Sheets listed my condo, I had multiple offers within 1 week. The condo sold for 97% of the asking price and over the appraised value! Darlene was excellent to work with, responded right away to my questions and gave me valuable information that helped me make the right decisions. I highly recommend Darlene Sheets if you are buying or selling your home. - My husband and I are so incredibly thankful for Darlene Sheets. We relocated from Tallahassee to Seminole. Being a go getter myself, I needed a realtor that would get the job done and stay on top of things. Any time we had questions, needed to see a house, or wanted to alter our search parameters Darlene was quick to take action. She took us to view as many houses as we needed to see until we found our house. We were never rushed. She was never impatient. Most importantly - we never felt alone during the entire process. That was extremely important to us as first time home buyers. nHome buying can be a stressful process. At times we wanted to give up. Having Darlene there to remind us that our house was out there - we just weren't standing in it at that moment and that although we didn't like the house we were seeing, it helped us get a better idea of what we wanted - kept us going. She turned the stressful days into calmer situations. nWe had met with a few other realtors before Darlene. They knew the business and could have sold us a house. However, the journey would not have been as pleasant, enjoyable, personable, educational, and the list goes on. We also probably wouldn't have shared near as many laughs. Darlene didn't just find us a house. She found us a home. If we ever do have to relocate again, I can guarantee that Darlene will be a part of the process. - Darlene was the best! She is so knowledgable in every sense of the word. She made the process so easy for me and walked me through each and every step (I was a first time home buyer).